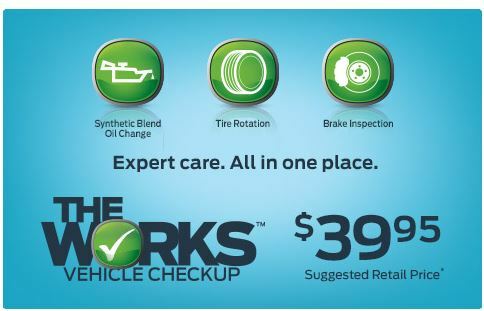 The Works is a vehicle check up for $39.95 or less. The Works includes an oil change, a tire rotation, brake inspection, and much more. It was a harsh winter this year and you don’t know what could have happened to your vehicle. Come on into Quirk Ford to take advantage of this great savings! Schedule Online and Cash in on The Works!